Property management of commercial office buildings has a huge impact on whether or not low- to no-vacancy status can be maintained. Every commercial tenant is directly affected by the actions of the property manager, in countless ways. Successful office property management keeps the tenants happy and safe while providing building efficiency that helps to cut costs. 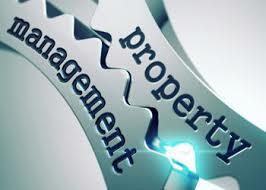 Learn more below about how to achieve successful office property management. What are the things an office building property manager can do to make commercial tenants happy? To an extent, that answer can only be fully answered on a case-by-case basis. There are still plenty of things that can make all tenants pleased enough to continue signing new lease agreements time after time. Good communication can lay a solid groundwork for a positive commercial leasing experience. It begins with helping the potential tenant understand the benefits and features of the property. When drawing up the lease, tenants should be made to understand rules for occupancy. For instance, there may be designated parking areas. Certain spaces or entire floors in a parking garage could be reserved for other tenants; and violators could be towed. Inform existing tenants personally, instead of through an email, if construction has been scheduled on the property. Schedule occasional face-to-face meetings with commercial tenants, to provide information about ongoing upgrades and find out if any needs or concerns have arisen. Everything about a commercial office building has the potential to help or hurt each tenant’s business image. Repairs should be made as speedily as possible, especially when matters such as air conditioning, heating, and plumbing are involved. Safety should be a property manager’s first priority. Proper maintenance contributes to safety, and maintenance audits should be conducted each month. Installing security cameras and ensuring that the parking areas are well-let at night are basics in safety for commercial office buildings. Tripping hazards should quickly be eliminated. Tenants also feel safer when they know their health is being protected. Property management should ensure that the building properly maintains the venting system in ways that protect individuals who are susceptible to allergies and other respiratory issues. Any mold that develops in the building should quickly be eliminated, along with conditions that promote mold growth. An energy efficient office building can help to attract tenants, due to cost-saving measures. “Leadership in Energy and Environmental Design” or LEED is considered the gold standard for environmentally friendly office buildings today. LEED-certified buildings have demonstrated that they have a higher level of energy efficiency and greater environmental consciousness than the average building. This is a winning feature with commercial tenants. The occupancy rates in LEED-certified commercial properties are 20% higher than those without the certification. Weaver Realty Group is LEED-certified and offers every aspect of high-quality property management. As a local office property management company with decades of experience, commercial tenants get the benefits of experience working with Florida’s unique investment real estate landscape. Call the Weaver Realty Group experts today at (904) 733-0039.